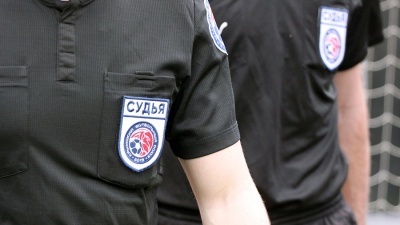 The matches of the 17th tour of the Crimean football union Premier League championship season -2018/19 were in March 16 and 17 in Crimea. "Kyzyltash", Bakhchysaray met with "Ocean", Kerch in Novopavlovka. 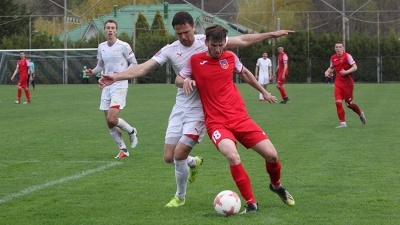 The away team was ahead the score in the 9th minute of the game: Ivan Ustinov distinguished himself. 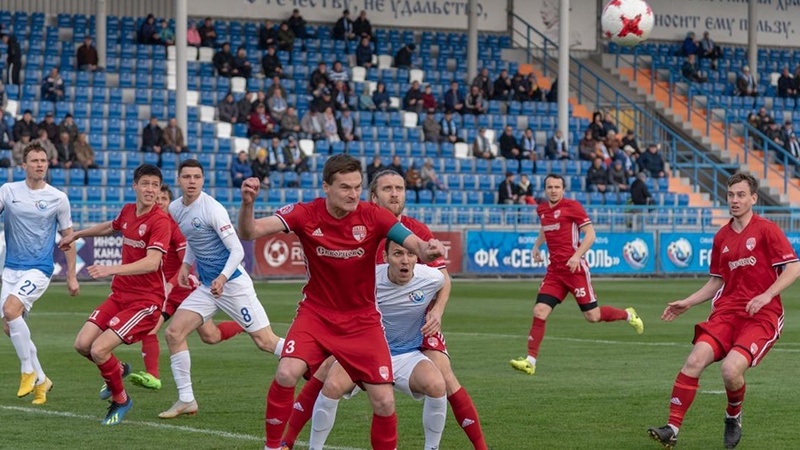 "Kyzyltash" managed to turn the match round in the second half: Anton Shevchuk wiped out the goal deficit in the 52nd minute, and Aleksey Kashtanov from Bakhchysaray brought his team forward after seven minutes. 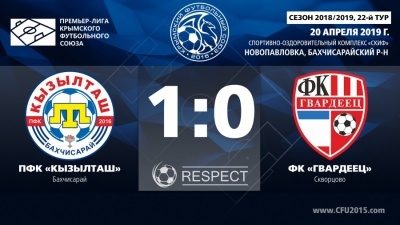 But "red-white" couldn’t hold the victory: one of the "Ocean" attack ended by taking of a goal in the 82nd minute – well-placed shot on the asset of ex-player of "Kyzyltash" Ilia Pshenichnikov. As result combat draw – 2:2. 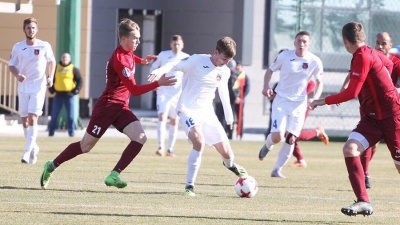 FC "Sevastopol" confidently overplayed "Gvardeets" Skvortsovo at own field. Redvan Osmanov the forward of Sevastopol managed to make hat-trick at this meeting, having scored in the 22nd, 47th and 88th minutes. The guests managed to score only once in the 74th minute, Aleksandr Kolesnik was accurate. 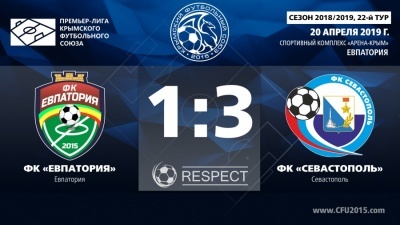 3:1 – "Sevastopol" wins, and Redvan Osmanov leads personally in the goalscorer race of the championship with 9 scored balls. "Krymteplitsa" Molodezhnoe hosted FC "Yevpatoriya" in Agrarnoe urban-type settlement, Simferopol. Both teams acted in middle speeds only time to time threatened to the goals of each other, but the supporters at the stands didn’t see the goals during the 90 minutes of playing time – a zero draw. And tour was ended by a match in Yevpatoriya, where "Incomsport", Yalta hosted "TSK-Tavriya", Simferopol. The away team opened the score after the hit made by Ruslan Margiev in the 7th minute. But team of Yalta managed to find the strength not just win back, but also gain the victory. Vladislav Tsoi recovered balance in the 15th minute, and Igor Rogovanov made a double in the 70th and 76th minutes – 3:1, confident win of "Incomsport". "Sevastopol" led the standings after 17th tour of the championship for the first time of the championship (31 points), "TSK-Tavriya" went down to the second position (30 points), "Krymteplitsa" is on the third place (25), "Ocean" has fourth line (24), than goes "Incomsport" (22), "Kyzyltash" (20), "Yevpatoriya" (19) and "Gvardeets" (16).